Dr Elena Garcia is a Tenured Scientist at the Centre for Automation and Robotics (CSIC-UPM). PhD Robotics Engineering from the Polytechnic University of Madrid, Dr Garcia has 20 years of research experience on the control of legged robots. She received her Ph.D. in “Optimizing the speed and stability of legged robots in natural environments”. She completed her training at the Leg Laboratory of the Massachusetts Institute of Technology, a precursor team of dynamically stable walking robots and series-elastic actuation. Her research is aimed at improving the performance of legged robots, including dynamic stability, active compliance in the foot-ground interaction, developing new actuators for legged robots, designing and controlling agile quadrupeds and lower-limb exoskeletons. 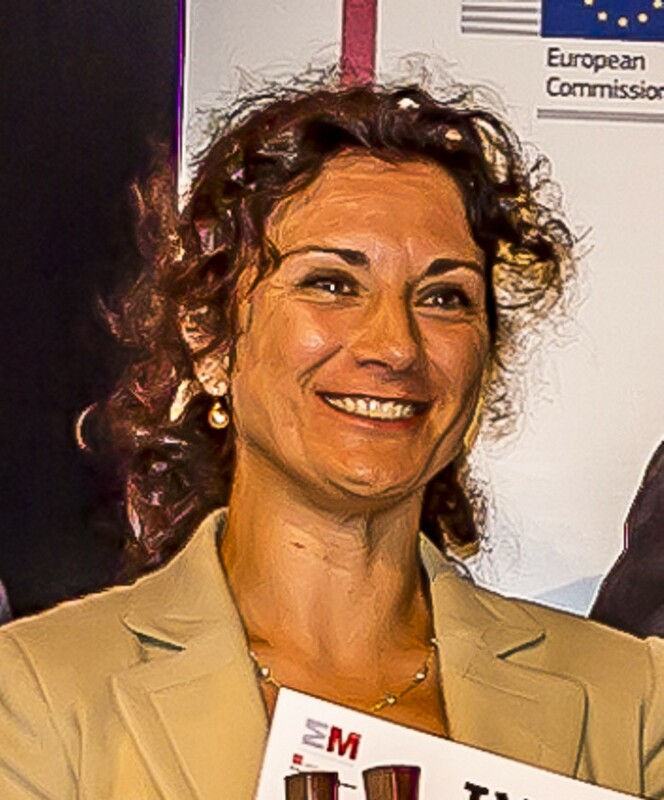 She is leading research on the development of the technology required to improve lower-limb exoskeletons for mobility aid, leading the ALTAS 2020 Project, which has received 8 innovation awards by the scientific community, and projects EXOTrainer, EXORAPI and KINDER, all three projects focused on paediatric gait exoskeletons. Dr. Elena Garcia has received yearly the recognition for Scientific Merit from the President of the CSIC since 2013. She has published more than 80 international scientific articles and one scientific book on legged locomotion, and acted as coordinator of 7 international research projects. She is member of the Editorial Board of the IEEE International Conference on Robotics and Automation and IEEE International Conference on Humanoids. Dr. Garcia owns 6 patents and she has founded a spin-off company, Marsi Bionics S.L. A new and versatile adjustable rigidity actuator with add-on locking mechanism (ARES-XL). Preliminary assessment of a compliant gait exoskeleton. Soft Robotics. Vol.4. Number. 2. Pages: 135 - 146. Advances in Mechanical Engineering. Vol.9. Number. 3. Identifying ground-robot impedance to improve terrain adaptability in running robots. ARES, a variable stiffness actuator with embedded force sensor for the ATLAS exoskeleton. Industrial Robot. Vol.41. Number. 6. Pages: 518 - 526. Generation and control of adaptive gaits in lower-limb exoskeletons for motion assistance. Advanced Robotics. Vol.28. Number. 5. Pages: 329 - 338. Exploiting joint synergy for actuation in a lower-limb active orthosis. Industrial Robot. Vol.40. Pages: 224 - 228. Control motion approach of a lower limb orthosis to reduce energy consumption. International Journal of Advanced Robotic Systems. Vol.9. Impedance control for legged robots: An insight into the concepts involved. IEEE Transactions on Systems, Man and Cybernetics Part C: Applications and Reviews. Vol.42. Pages: 1400 - 1411. Variable-stiffness joints with embedded force sensor for high-performance wearable gait exoskeletons.